Coffee drinking was born across the cradle of fertile lands of Western Asia centuries ago. First in the mosques and Bedouin tents of the Arabian Peninsula and then in the coffeehouse of Syria, Persia and Turkey. 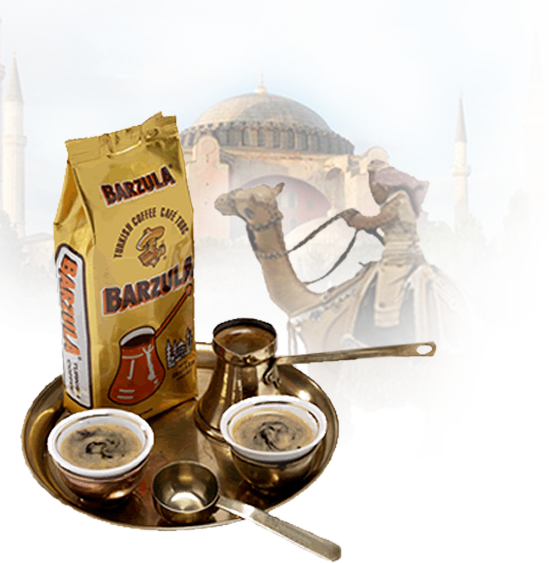 Turkish coffee is “somewhat” of an improper description, the coffee is not only used in Turkey, but also in Greece, the Middle East and Slavic regions. The preparation of Turkish coffee is a “Real Ritual” for the communities of the above regions. The Slavic people are used to the special taste of the coffee from a particular State of Brazil. There are also some people that can read the future by looking at the coffee remains at the bottom of the little cup, the size of an eggshell. Each guest receives a share of the creamy foam made when coffee is being prepared; Arabs call it “The coffee face” and you would loose face in serving coffee without the foam.